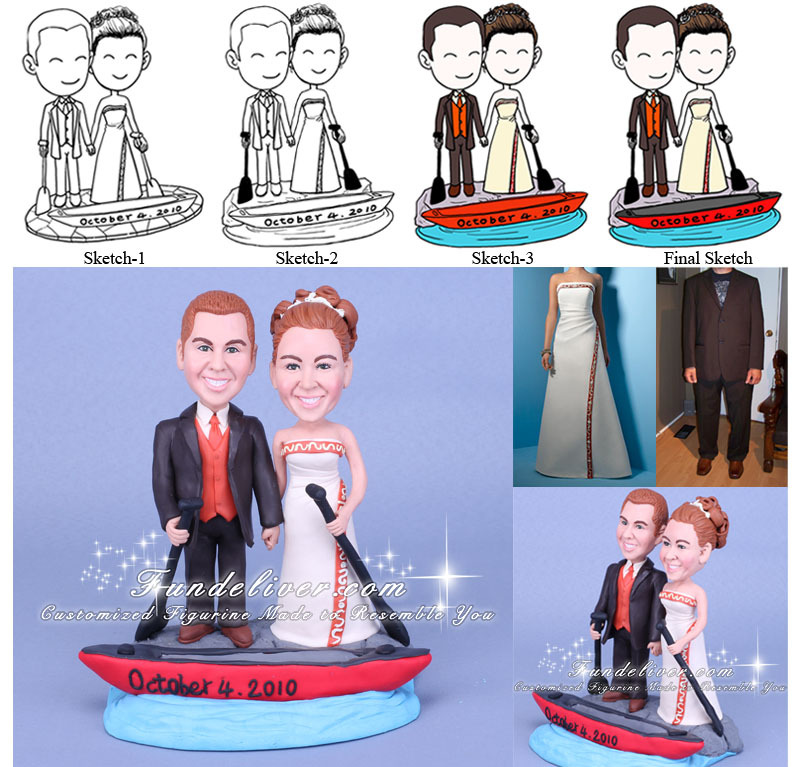 This is a completely customized boat theme wedding cake topper ordered by one of our customers. They would like the bride and groom standing on 'rock' ground behind the boat floating in the water. The groom is wearing a dark brown suit, an ivory shirt with a burnt orange vest and tie and light brown shoes. Bride is in an ivory with burnt orange dress as above image. They would also like the boat to be in red and to have 'October 4, 2010' written on the side of the boat (front of figure). Both of their figurines are holding black paddles to match their wedding theme. 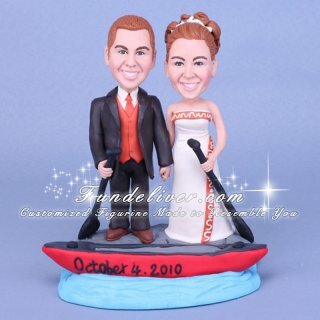 They would start their wedding at riverside, that is why they ordered this boat cake topper, how about your wedding?